LUXURIOUS TOWNHOME IN THE GATED x2018;V x2019; COMMUNITY AT LAKE LAS VEGAS! SPACIOUS 3 BEDROOM UNIT IS BEAUTIFULLY UPGRADED WITH CUSTOM TILE FLOORING, MARBLE FIREPLACE, VAULTED CEILINGS WITH CROWN MOLDING, STAINLESS APPLIANCES INCLUDING A WINE FRIDGE AND GRANITE COUNTERS. THE x2018;V x2019; COMMUNITY FEATURES A LARGE CLUBHOUSE RESEMBLING A TUSCAN VILLA, FITNESS CENTER AND POOL OVERLOOKING THE LAKE. IT ALSO FEATURES TRAILS WITH GARDENS, FOUNTAINS AND CYPRESS TREES. Please, send me more information on this property: MLS# 2069454 – $269,900 – 36 Via Vasari Unit 105, Henderson, NV 89011. 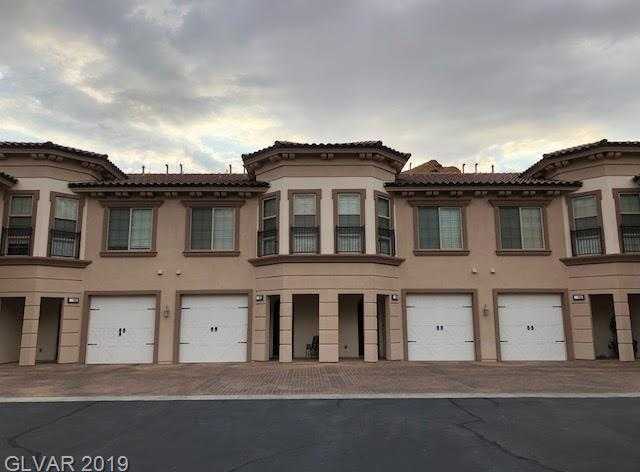 I would like to schedule a showing appointment for this property: MLS# 2069454 – $269,900 – 36 Via Vasari Unit 105, Henderson, NV 89011.